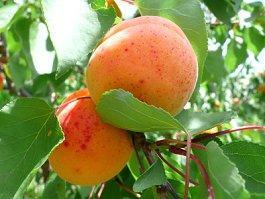 Apricot is a popular natural ingredient. As more people become interested in personal environmental practices, chemical free shampoo is growing in popularity, but finding the best shampoo without familiar cleaning chemicals can be a challenge. Detergents: These are the actual cleaning agents of the shampoo. Foaming Agents: Most people associate suds with cleanliness, and these chemicals produce suds with no cleaning or other beneficial properties. 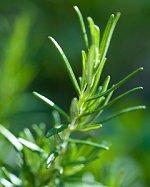 Oils: Because most detergents strip away natural oils, artificial oils are necessary to coat and smooth hair strands. Aesthetic Agents: Colors and scents are popular chemical additives to shampoo, but they are purely for show and do not help keep hair clean. Together, these chemicals may layer the scalp with unwanted residue that can clog hair follicles and contribute the hair loss, weigh down hair, or otherwise suffocate beautiful natural strands. Chemical free products, on the other hand, help eliminate many of these problems. Why Choose Chemical Free Shampoo? Many people choose shampoos without excessive chemicals because they don't want to layer their hair with synthetic compounds. Natural hair products have less negative environmental impact and are well suited to an ecologically harmonious lifestyle, making them a favorite choice of vegetarians and vegans as well. Other consumers may choose chemical free products because of scalp sensitivity or allergies to synthetic products. Many plant extracts are combined into soothing or refreshing blends to add aromatherapy benefits to the natural products as well, making them a treat for the senses as well as the hair. 'Is the shampoo bottle recyclable?' Tossing a shampoo bottle in a landfill can negate the benefits of avoiding artificial chemicals in the product. 'Is the shampoo concentrated?' Concentrated products last longer and use less water in manufacturing, and not as many bottles will be needed. 'How far must the product be shipped?' Shipping products around the world requires massive expenditures of fuel, which can overshadow the ecological benefits of avoiding chemicals in the shampoo. 'Is the product tested on animals?' Many animal testing practices are inhumane and dangerous, making the chemicals less important than the practices to produce them. To discover how the product is produced and whether or not the company uses environmentally sound practices, consumers should investigate the manufacturer's disclosure policies, FAQ, and other information before deciding on a purchase. Prices range from $5 to $20 or more per bottle of shampoo depending on its size, ingredients, and the individual manufacturer. Larger bottles are generally a better deal, and many retailers offer free shipping or discounts on large orders. While choosing chemical free products may sound responsible and environmentally conscious, these natural products may not work well for everyone. Individuals with heavily treated hair may require harsher cleaning agents for the best effects, and the mild actions of chemical free products may not be the most efficient option. Some individuals may also have allergic reactions to natural products, depending on the ingredients, and care should always be taken to test products discreetly before using. Choosing chemical free shampoos is a way for many individuals to lessen their environmental impact while enjoying the light, refreshing blends of natural ingredients in their daily hair care routines. With a wide range of ingredients to choose from, nearly everyone can find a chemical free formula to meet their hair care needs and preferences and make them feel more in harmony with their world even while they enjoy beautiful hair.